Frolic with farm animals, watch cowboy shows, and enjoy horse-drawn cart rides at the Chok Chai Farm Tour! Have a great time in Khao Yai. The driver reach to our hotel on time to pick us. Although we were stuck in traffic jam due to songkran festival, but we manage to go to all the places we had planned to go. Highly recommended. Khao Yai National Park is a jewel in Thailand that is rapidly becoming one of the most popular tourist destinations in the country. As a UNESCO World Heritage Site, this glorious area is full of wildlife and jungles, and has numerous activities guaranteed to excite the blood of the most avid travelers. Spend your days within this park without wasting a single moment by letting this car charter take you from one activity to another! From the very moment you come into the perimeter of the park, you'll feel the cool climates and experience natural wonders, from the panoramic nature views to thrilling hikes and amazing night safaris. 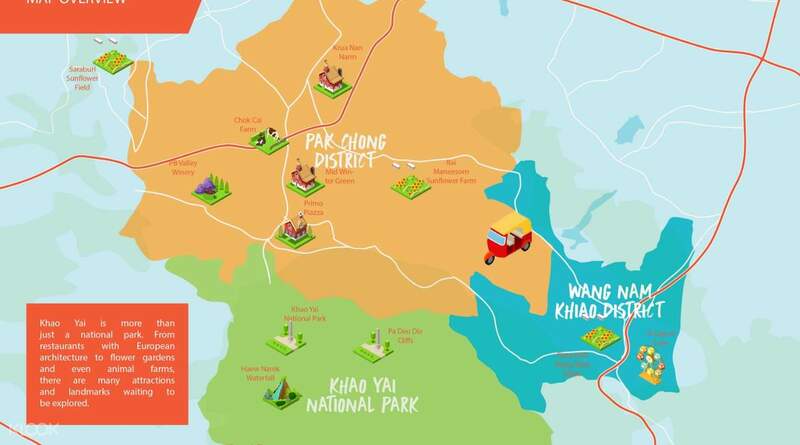 Make sure you go by the Khao Yai National Park visitor's center, which will provide you with maps to help you plan your journey. And there'll be so many to choose from, it'll take days to complete them all! 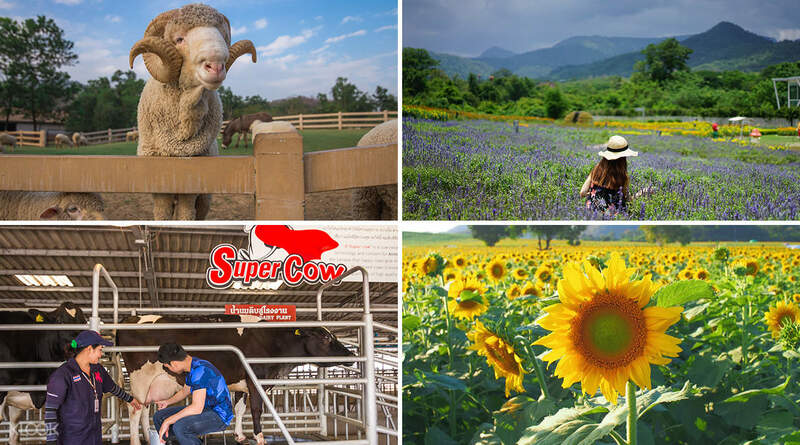 Ground level adventures will have you explore new worlds when you go to the Primo Plaza, Khonyok Sheep Farm, and the Chok Chai Farm, meeting animals and getting to feed and stroke them. An educational tour of how wine is made at the PB Valley Winery and a visit to the Chocolate Factory will tingle your tastebuds too. 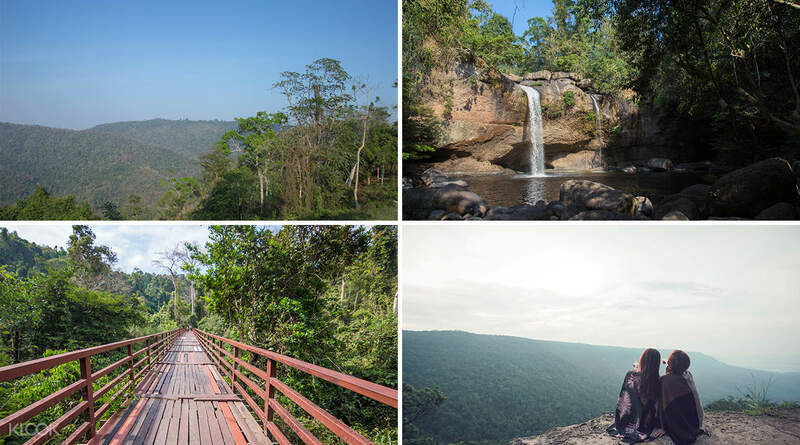 With this Khao Yai National Park tour from Bangkok, there's a lot to explore! This car charter will take you to wherever you need to go every day, so you won't have to worry about getting to experience everything. Customize your own itinerary; select a list of places you would like to visit and your driver will take you there! We had an enjoyable trip to Khao Yai. Our driver Mr. Tui was very helpful and accommodating to our requests. We really enjoyed feeding the rabbits, alpacas, donkeys and many more. Highly recommended to all! We had an enjoyable trip to Khao Yai. Our driver Mr. Tui was very helpful and accommodating to our requests. We really enjoyed feeding the rabbits, alpacas, donkeys and many more. Highly recommended to all! This is my 1st time using Klook service, I was so worried from the beginning because I keep sending email to CS to ensure the driver info in order for us to look for driver easily but unfortunately CS do not resolve my issue. When we arrived to Bangkok, we are trying to look for Klook service counter. Luckily It’s just right at the airport exit. Then the staff politely lead us to the driver. We started our journey with Mr. “Money”(the driver). He have made a well arrangement and introduced nice food and place to us. He have fulfilled all our needs and requests with his kind hearted and patience. 2 star price with 5 star service! Highly recommend for this reliable service! If there is any chance for my next visit to Khao Yai, I would definitely request Mr. Money to be our driver again! Great service! This is my 1st time using Klook service, I was so worried from the beginning because I keep sending email to CS to ensure the driver info in order for us to look for driver easily but unfortunately CS do not resolve my issue. When we arrived to Bangkok, we are trying to look for Klook service counter. Luckily It’s just right at the airport exit. Then the staff politely lead us to the driver. We started our journey with Mr. “Money”(the driver). He have made a well arrangement and introduced nice food and place to us. He have fulfilled all our needs and requests with his kind hearted and patience. 2 star price with 5 star service! Highly recommend for this reliable service! If there is any chance for my next visit to Khao Yai, I would definitely request Mr. Money to be our driver again! Great service! Khao Yai is a good place to visit. Which is higher than my expectations. A lot of tourists spot and numbers of restaurants that serve a very good food with reasonable price. I will bring my family here on Nov or Dec. A believe is much better than my March trip. Also give a like to our driver Mr Lang. Although his English not speaking well, but really try his best to bring us as many places as he can. We did complete all places we planned (except Ozone) with additional 2 or 3 places. Khao Yai is a good place to visit. Which is higher than my expectations. A lot of tourists spot and numbers of restaurants that serve a very good food with reasonable price. I will bring my family here on Nov or Dec. A believe is much better than my March trip. Also give a like to our driver Mr Lang. Although his English not speaking well, but really try his best to bring us as many places as he can. We did complete all places we planned (except Ozone) with additional 2 or 3 places. We were greeted with smiles by Klook staff at the airport. Pick up was rather smooth and fast. Thumbs up to our Driver Mr Aung, he speaks basic English and is very punctual, friendly and accommodating. He knows his way in KhaoYai very well even help us book the tour for PB Valley and give some advice on how to go to places that we want to go in Bangkok. It would be better if Itinerary could be discussed and confirmed with the driver before we meet them as we did not know that there is no water in March for the waterfall at KhaoYai National Park so we got to change our Itinerary last minute. Overall we enjoyed our stay in KhaoYai. We were greeted with smiles by Klook staff at the airport. Pick up was rather smooth and fast. Thumbs up to our Driver Mr Aung, he speaks basic English and is very punctual, friendly and accommodating. He knows his way in KhaoYai very well even help us book the tour for PB Valley and give some advice on how to go to places that we want to go in Bangkok. It would be better if Itinerary could be discussed and confirmed with the driver before we meet them as we did not know that there is no water in March for the waterfall at KhaoYai National Park so we got to change our Itinerary last minute. Overall we enjoyed our stay in KhaoYai. Me and my two friend had an amazing time in Khao Yai and one of the main reason is Mr Sipitong our friendly Klook driver 😚 He really is an expert in Khao Yai attraction and bring us to the amazing place that we didn't even put in our ittinerary 😍 The first day we went to PB winery, Palio Khao Yai and The Chocolate Factory and it was amazing! We enjoyed everything there eventho we don't drink the wine but we have fun bcs the view in PB park is amazingggg! Definitely a must go place! Second day we went to Farm Chockhai, Baan Suan Noi and Jim Thompson Farm. The Hobbit house is quite disappointing bcs the place was not taken care properly but I still took some of the amazing picture there! And on the last day, before Mr Thong send us back to Bangkok we went to Maneesorn Sunflower Farm, Panorama Khao Yai, and Primo Piazza! For sunflower it was the most gorgeous place you'll ever see but the flower did die a little bit so you need to come in late December to see the full bloom with tall sunflower 🌻 Thanks to Mr Sipitong eventho we didnt managed tips him a lot bcs of emergency cases but he did treat us with care! Me and my two friend had an amazing time in Khao Yai and one of the main reason is Mr Sipitong our friendly Klook driver 😚 He really is an expert in Khao Yai attraction and bring us to the amazing place that we didn't even put in our ittinerary 😍 The first day we went to PB winery, Palio Khao Yai and The Chocolate Factory and it was amazing! We enjoyed everything there eventho we don't drink the wine but we have fun bcs the view in PB park is amazingggg! Definitely a must go place! Second day we went to Farm Chockhai, Baan Suan Noi and Jim Thompson Farm. The Hobbit house is quite disappointing bcs the place was not taken care properly but I still took some of the amazing picture there! And on the last day, before Mr Thong send us back to Bangkok we went to Maneesorn Sunflower Farm, Panorama Khao Yai, and Primo Piazza! For sunflower it was the most gorgeous place you'll ever see but the flower did die a little bit so you need to come in late December to see the full bloom with tall sunflower 🌻 Thanks to Mr Sipitong eventho we didnt managed tips him a lot bcs of emergency cases but he did treat us with care! My husband and I were thoroughly satisfied with the experience, especially with our private charter and driver Mr.Nuttadet. We were pleasantly surprised by his punctuality, mild mannerism, and thoughtfulness with regards to points of destination. He was even very accommodative and went the extra mile to locate halal restaurants for us. Overall the package was worth every penny as Mr. Nut went above and beyond by bringing us to all the venues requested in the itinerary as well as suggesting other interesting places to visit to ensure that our time in Khao Yai was fully utilised. 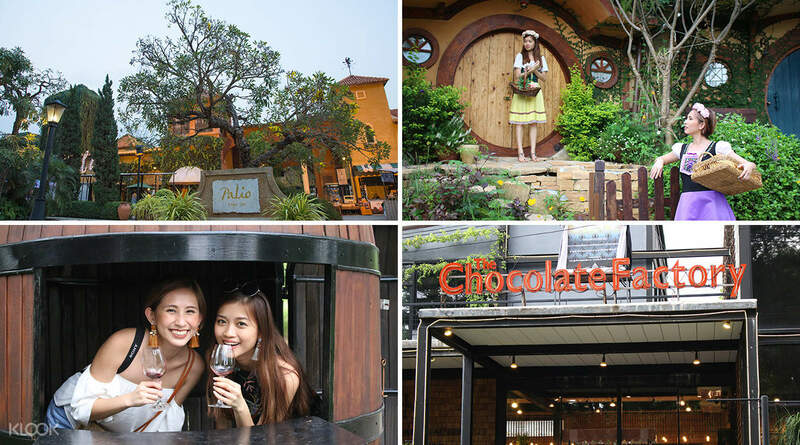 Thank you Klook and Mr. Nut, for the unforgettable experience in Khao Yai. My husband and I were thoroughly satisfied with the experience, especially with our private charter and driver Mr.Nuttadet. We were pleasantly surprised by his punctuality, mild mannerism, and thoughtfulness with regards to points of destination. He was even very accommodative and went the extra mile to locate halal restaurants for us. Overall the package was worth every penny as Mr. Nut went above and beyond by bringing us to all the venues requested in the itinerary as well as suggesting other interesting places to visit to ensure that our time in Khao Yai was fully utilised. Thank you Klook and Mr. Nut, for the unforgettable experience in Khao Yai. The day trip was good. Booking was fuss free and easy. I contacted the local operator to check itinerary and time of pick up easily through whatsapp. replies were fast and easy, the details of driver and carplate number were sent through whatsapp and email the day before trip. driver, and Jued, was a safe and friendly driver. he was also accommodating and tended to our requests eg. 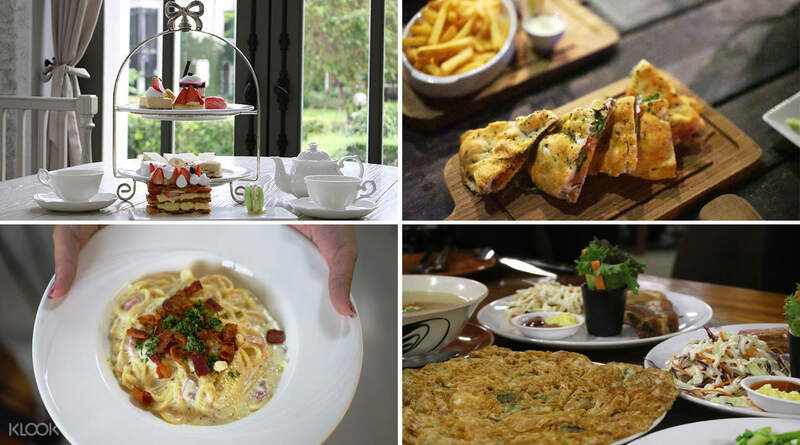 to go to restaurants around khao yai and stopping at petrol kiosks for toilet break and buying snacks. itinerary planning is entirely up to us and it was a great experience. recommended tour! Mr Jued also assisted us in the purchasing of entrance tickets etc. The day trip was good. Booking was fuss free and easy. I contacted the local operator to check itinerary and time of pick up easily through whatsapp. replies were fast and easy, the details of driver and carplate number were sent through whatsapp and email the day before trip. driver, and Jued, was a safe and friendly driver. he was also accommodating and tended to our requests eg. to go to restaurants around khao yai and stopping at petrol kiosks for toilet break and buying snacks. itinerary planning is entirely up to us and it was a great experience. recommended tour! Mr Jued also assisted us in the purchasing of entrance tickets etc. Very friendly and kind driver... takes the extra effort to find a way out due to traffic jam (road accident). English is very very limited which is a problem, but the best tool ever invented, GOOGLE translate solves this problem. Strongly recommended for other visitors to Khao Yai for the first time. Very friendly and kind driver... takes the extra effort to find a way out due to traffic jam (road accident). English is very very limited which is a problem, but the best tool ever invented, GOOGLE translate solves this problem. Strongly recommended for other visitors to Khao Yai for the first time.